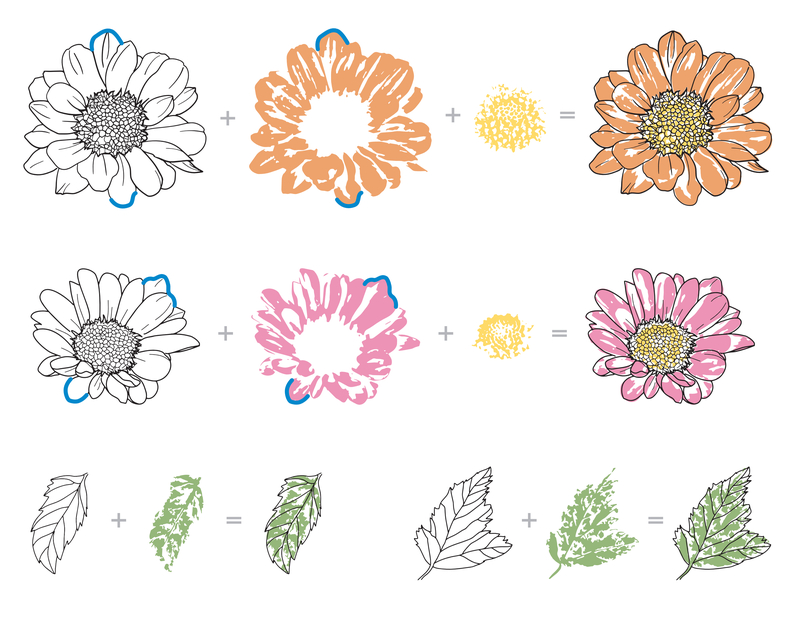 This floral stamp set is consists of 2-3 layering images allowing you to create in-depth daisies. With various styles of images, you can add fully open flowers or simple add flower buds to your projects. For more freestyle feel, try using it without the outline images.